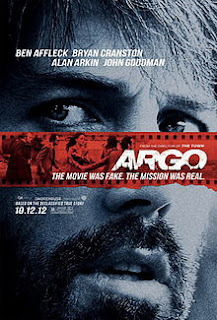 “Argo” is a real movie based on a fake movie that was used as a cover up to save six American's from Iran. It almost sounds too strange to be real. During the 1979 Iran hostage crisis six American's managed to escape through the back door and hide in a Canadian ambassador's house for a couple of month. Once news of this came to America, the Central Intelligence Agency started thinking of plans on how they could sneak the American's out of Iran safely. It would be Tony Mendez (Ben Affleck) who would come up with a radical idea: Make a fake movie that needs on location shooting in Iran, go there and pretend to make a movie, and sneak the American's out by claiming they are crew members. This sounds like a bad idea because the Iranians know there are six American's missing, the timing of a movie company wanting to come to Iran to film on location during a time of political unrest seems strange, and airport security is so tight that they have on record how many people come in the country (and how can one person come in only to have seven people leave). But, as CIA member Jack O'Donnell (Bryan Cranston) says, “This is the best bad idea we've got…by far.” Ah, but to sneak into Iran they movie has to look credible, and so they hire Hollywood producer Lester Siegel (Alan Arkin) and Oscar-winning makeup artist John Chambers (John Goodman) to help “produce” the movie. These two provide the biggest laughs in the movie, but in their defense their job isn't nearly as difficult as Tony's, who not only thought of the plan but must personally go to Iran and put the plan in motion. The irony of this is that while “Argo” the movie may have been a cover-up rescue mission, years later it is now its own movie that strikes me as something far more interesting than what the original screenplay probably provided. The script is picked because of landscapes and the thrill science fiction movies presented in the seventies. 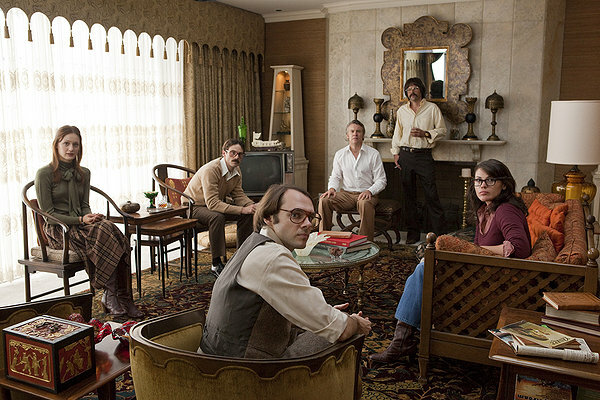 Today's “Argo” has wonderful locations, tight editing, with a situation so surreal you'd think it WAS science fiction! The movie is directed by Ben Affleck, who also stars in the title role. Though he's always been an average actor (and here's no different I hate to say) he's been proving over the last several years that he may be one of the new great directors in the making. With “Argo” he lives up to the potential he's only been hinting at all these years. 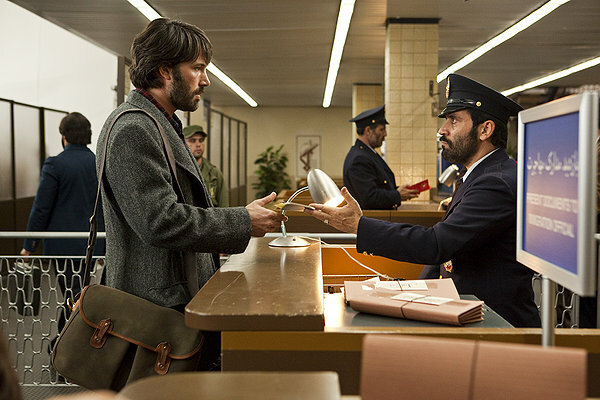 “Argo” is easily one of the best films of the year. It acts as a drama, comedy, thriller, and action movie all rolled into one. It has memorable characters and situations that make your heart pound. It's one of those rare movies that makes you cry and stand up and cheer at various points in the film. The most surreal thing about the movie maybe it's timing. Considering the US Embassy was attacked by Iran once again several days ago (and with much less happy news in the long run), “Argo” seems sadly modern in a way. I don't want to get into a political or religious debate, but it makes me comfortable watching an English-speaking Iranian woman telling America that “revolutionaries are not terrorists; they are here to change the world.” If the revolutionaries are doing their job right, then why does last week's news strike me as a repeat of the events depicted in this film? Never mind, I probably shouldn't go there. Parents, there is a substantial amount of hard violence and language in this movie. Recommended for ages 17 and up.